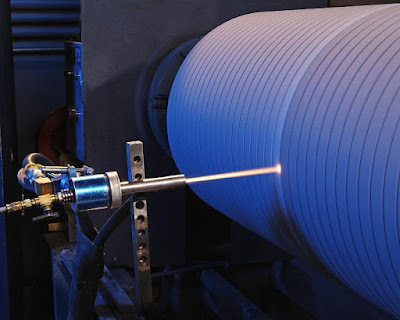 The global thermal spray coatings market size is expected to reach USD 14.99 billion by 2025, according to a new report by Grand View Research, Inc. Increasing application scope, owing to advantages such as wear and corrosion protection, low toxic gas emissions, thickness capability and electrical resistance is expected to fuel thermal spray coating market growth. Key applications include aerospace precision parts, automotive, medical instruments and industrial gas turbines. Use of these coating for biomedical and medical instruments to improve wear resistance and boost biocompatibility of prosthetics and dental implants is expected to augment growth. Rising application scope of gas turbines in ships, locomotives, tanks, helicopters and motorcycles is expected to augment thermal spray coating market over the forecast period. Polymer and metal thermal spray coatings are employed in powdered form for industrial gas turbines blades on account of properties such as high temperature corrosion resistance. In terms of revenue, ceramics was the largest application segment for the product market, accounting for 30.1% of the global market in 2016. Ceramics are primarily employed in biomedical industry. HVOF technology is used to spray these products on to substrates which are further used in the medical sector for the manufacturing of dental implants. Expansion of this sector is expected to have a positive impact on growth over the next seven years. The global product market is expected to witness substantial growth over the forecast period owing to its widespread use in aerospace and automotive industries. Growing demand for corrosion resistant coatings particularly in these two sectors is expected to be a key driver for market growth. Increasing application scope in engineering coating, wear resistant coating, automotive & aerospace, biomedical, food processing, electronics, semiconductors and energy are further expected to promote demand. · The global thermal spray coatings market was valued at USD 8.38 billion in 2016 and is expected to grow on account of the increasing demand from the automotive sector. · Ceramics emerged as the largest product segment in terms of revenue in 2016 and is estimated to reach USD 4.6 billion by 2025 and is anticipated to experience a steady growth over the years ahead. · The industry in Asia Pacific is projected to witness substantial growth over the next eight years owing to robust growth in the medical, oil & gas and automotive industry, especially in the countries of India and China. In terms of revenue, the regional market is expected to grow at a CAGR of 7.9% from 2017 to 2025. · Key players including Praxair Surface Technologies, Air Products & Chemicals, Cincinnati Thermal Spray, Inc., and TWI Ltd., dominated the global product market.